To coincide with the release of Disney's new Cinderella film, I was a guest on Radio National's 'Life Matters' last Friday. 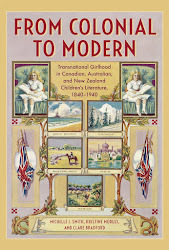 I joined host Natasha Mitchell in a talkback session on the subject of girls and princess culture, along with Samantha Turnbull, author of the Anti-Princess Club series of books and children's author and school principal John Marsden. 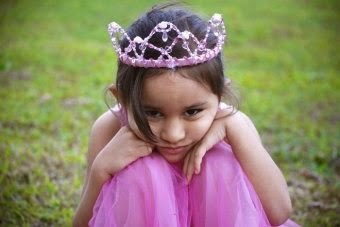 Listen in to the podcast for a variety of perspectives on what wanting to be a princess means, not only for girls, but for boys too. The 'Hole' in the Pantry Story: Should Penguin have Validated Belle Gibson's Cancer Claims? Australia is no stranger to a literary hoax or deception, from the “Ern Malley” affair to the falsified backgrounds of Helen Darville and Norma Khouri. Social media entrepreneur Belle Gibson, developer of The Whole Pantry “health, wellness and lifestyle” app, is now the first to be accused of fabricating a miraculous recovery from metastasised cancer. There are well publicised allegations that Gibson invented the story of her successful battle against malignant brain cancer using alternative therapies. No doubt Gibson’s personal story was a major hook in the publicity for her brand and helped to drive more than 300,000 sales of the app alone. The questions raised both by those who have known Gibson and medical experts are beginning to taint the legitimacy of Gibson’s lucrative app and the cookbook she published in October last year. Penguin, publishers of The Whole Pantry, have stated they did not check the validity of Gibson’s cancer account as they did not see that it was “necessary” given that the book is “a collection of recipes”. The book does, however, contain a 3,000-word preface that is devoted to answering questions about Gibson’s cancer diagnosis and how she came to the decision to “heal herself” instead of continuing with the prescribed chemotherapy and radiotherapy. In answer to the latter question, she contrasts her experience of vomiting after medical treatment with the approach she devised through reading articles on the internet and speaking to people. Her solution involved “nutrition, patience, determination and love – as well as salt, vitamin and Ayurvedic treatments, craniosacral therapy, oxygen therapy, colonics”. Recipe books are proving to be far less benign subject matter than publishers might have imagined. Also in the past week, the publication of celebrity chef Pete Evans’s paleo-inspired cookbook for infants, Bubba Yum Yum, has been delayed. The book includes recipes for bone broths that appear to be recommended as substitutes for breast milk or formula, and which doctors have warned might pose a risk to babies under six months old. What is the responsibility of a major publishing house, then, to check the credentials and claims of its authors’ biographies? Or even the validity of particular health claims, such as alternative therapies for cancer or fad diets? After all, the standing of a publisher can confer authority on a published work. We know there is a continuum between self-publishing houses such as Trafford, who published the much-mocked anti-vaccine polemic Melanie’s Marvellous Measles, and respected academic presses that require books to pass expert review. Both Apple and Penguin would have perceived the benefits of an association with an “inspirational” social media star who claimed to donate a significant amount of her company’s earnings to charity. It is troubling that either reputable company would wish to promote someone whose profile and theories rested on entirely unproven claims about the power of food, mindset, vitamins, oxygen and colonic irrigation to cure malignant brain tumours that usually have a poor prognosis. People are now alarmed by Gibson’s recovery story because it cannot be true if the accusation that she was never diagnosed with cancer is factual. Yet would it have ever been responsible to publicise and legitimise the story that someone “healed themselves” of cancer through diet? While a good diet certainly does not harm a cancer patient and the role of diet in the development of particular cancers, such as bowel cancer, is established, diet-based “cures” have not been scientifically validated. Encouraging cancer sufferers to have faith in unproven cures is ethically problematic, purveying false hope and potentially drawing sufferers away from treatment that could be efficacious. Moreover, the suggestion that a young woman with no medical or scientific education or training was able to devise a cure for her brain cancer through some hours spent googling the topic (and her discovery of the “detoxification properties of lemons”) is preposterous. Suppressing ideas that are not accepted by contemporary thinking would thwart new knowledge. But, as Patrick Stokes points out in his widely-read article No, you’re not entitled to your opinion, the ability to voice an opinion that is difficult to argue for is different to having views “treated as serious candidates for the truth”. If the foundation of a book is so far outside of accepted knowledge and little evidence can be mustered in support of it then publishers might not wish to affect their reputation through publication. For instance, Keith Windschuttle’s controversial three-volume The Fabrication of Aboriginal History is self-published. Whether Belle Gibson suffered from cancer or not, the core dilemma with the publication of The Whole Pantry is that the influence of the author rests upon unverifiable claims about curing cancer with alternative therapies.